Dark. Vampy. Shiny. How I love thee! 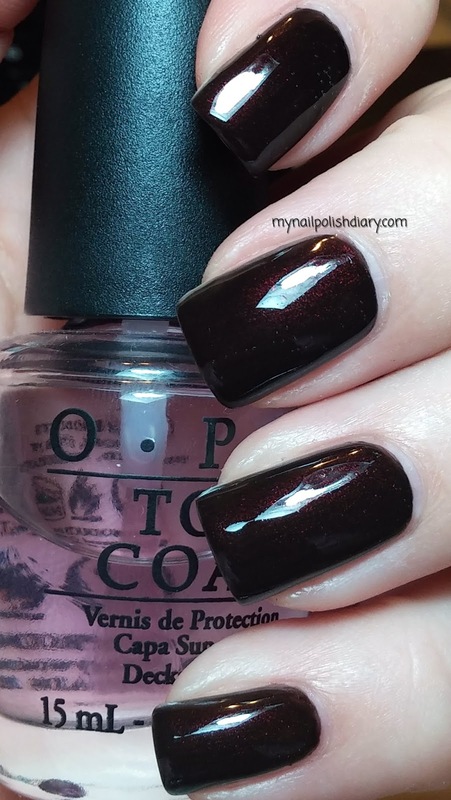 OPI Midnight In Moscow is a blackened red from the 2007 Russian collection. Oh em gee does it get any more gorgeous than this color? I absolutely love wearing dark vampy shades. Seriously. Love. It's hard to see in my pictures, but Midnight In Moscow has a super pretty red shimmer. It looks black, but then you see it in sunlight and wow! SO pretty. 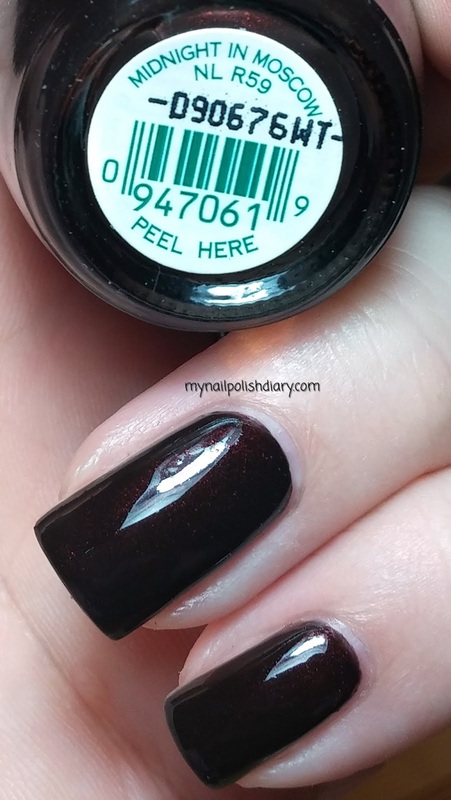 I love the formula of this older polish. They go on so easily. Back when all the chemicals were just part of nail polish :D The good ole days! There were a number of pretty shades that came out with the Russian collection that have remained favs of mine since then. This was was made after they took out the formalin and toluine - those were older than this collection that still had those in it and had black labels.